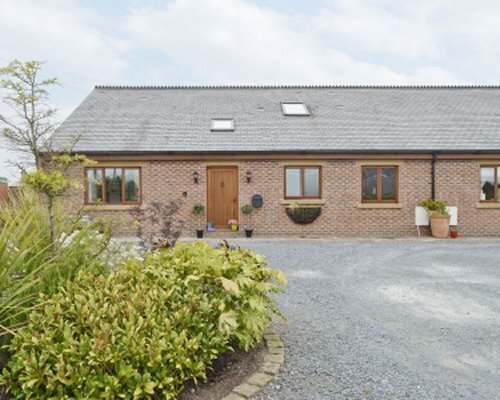 This stunning barn conversion, provides spacious & luxurious accommodation in a quiet rural setting that is great for exploring Lancashire, the Fylde coast & more. Thoughtfully designed on the inside & out, it offers all the comforts, including a well-equipped kitchen, contemporary bathrooms, comfortable bedrooms, wi-fi, Freeview TV, X-box One & a wood-burning stove to warm those long winter evenings. The exterior is equally impressive. 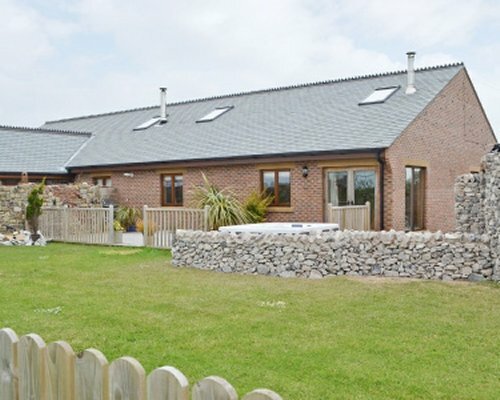 The decked patio enjoys lovely views over open countryside & is perfect for hosting a barbecue (provided), whilst the children play games on the large lawned garden. There is an outdoor hot tub which can be enjoyed all year round & should the weather take a turn for the worst, you can retreat to 'The Cave'. Built by the owner as an indulgent folly, this stone built cave is heated, weatherproof & has comfy seating, TV & an open fire. The owner will also allow guests to have use of his own full size snooker table (subject to availability). Stalmine is located approximately 5 miles from the small market town of Poulton-le-Fylde, which has a good selection of shops, bars & cafes. Other places worth visiting along the Fylde coast include Thornton Cleveleys with its old fashioned charm & promenade (7 miles), Fleetwood with its Freeport Outlet Shopping Village (10 miles) & of course Blackpool (9 miles), whose many attractions include the Tower, Blackpool Zoo, Pleasure Beach, Sea Life centre & Madame Tussauds. You are also well-placed for exploring rural Lancashire. Ribble Valley with its pretty villages, excellent walks & abundance of country pubs is within an hrs drive, as is the Forest of Bowland, which is a designated AONB. The Lake District & Yorkshire Dales are also an hr by road. The city of Lancaster is just 13 miles away & Preston is 19 miles. Beach 4 miles. Shop & pub 1/2 mile, restaurant 3 miles. From M55 exit at junction 3 and take the A585 towards Fleetwood. Follow for approximately 6 miles then turn right onto the A588 towards Hambleton. Follow for approximately 3 miles then turn left onto Carr End Lane.